Well I’ve gone and done it I have lashed out and purchased a new (well old) toy. 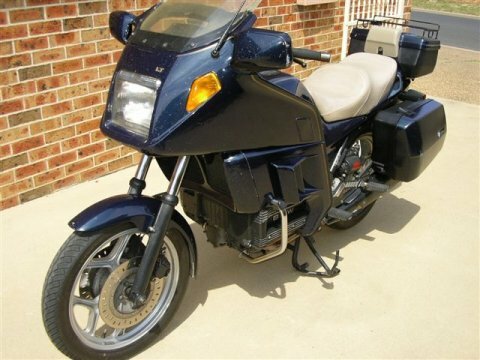 I have purchased a BMW K100 LT motorbike 1989 model. As most of you know I am currently living in Parkes NSW caring for my Mum as she undergoes chemotherapy for Non-Hoskins Lymphoma. 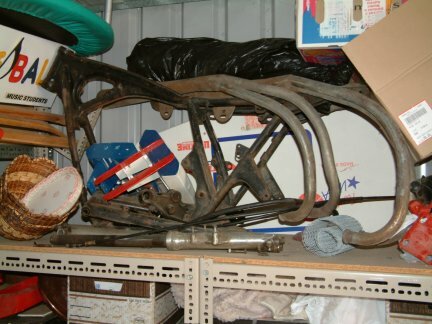 1) 1973 Honda CB500 Four Dismantled 1980 and been in bits till 2006. Still basically in bits but some of them have been cleaned polished or painted and put together. 2) 1971 Honda CB500 Four purchased Feb 2007. 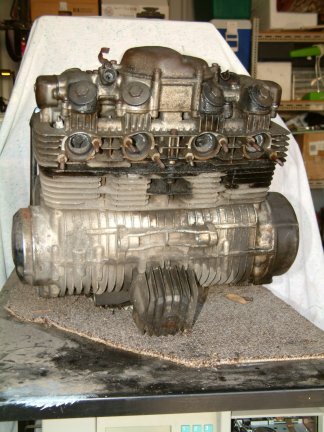 On the road but needs attention to carbies an d is a test bed for part of the other CB500 as they are restored. 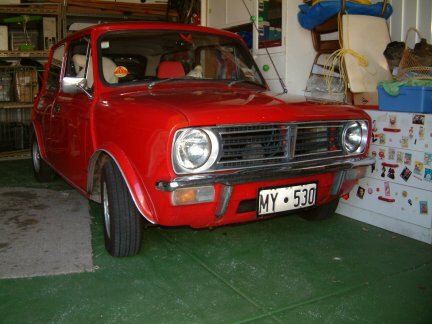 3) 1975 Leyland Mini currently won’t start. Not sure if I want to restore the body or just sell it once it is back on the road. 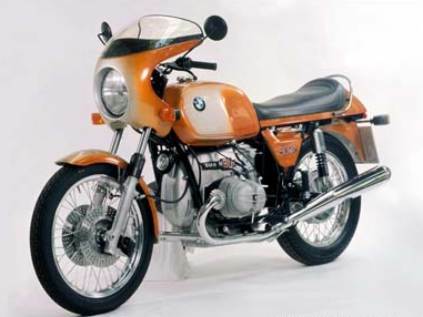 I bought the BMW so that I could go for the occasional ride. I always swore that my next bike would be a shaft drive. I started looking for R90S 1973. I loved these when they came out and would love to own one then but they were well out of my price range in those days. 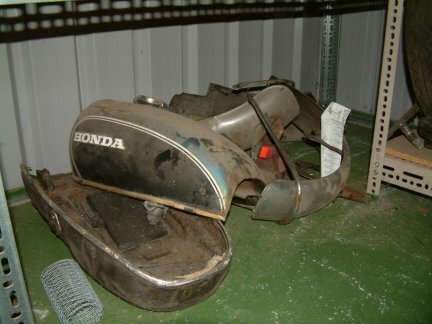 I saw a few K series bike on eBay and I was looking at one for sale in Geelong but it was withdrawn from auction then appeared again the following week on eBay at an address the other side of Melbourne. Contact with the seller’s didn’t inspire me with any confidence so that was dropped. I then looked to see what was going in the dealers around NSW and found a few BMWs in my price range in Sydney. I started thinking I could go to Sydney one Saturday and check them out when I noticed an add for a private sale in Orange 100k from Parkes. I had to go to Sydney for a meeting so I arranged to see and ride the bike on my way through Orange. It seemed to be what I was looking for. It was in good nick really just showing the kilometers it had done 160K. Quite a few k’s but still went well. The price was below the Redbook price but considering the K’s was still reasonable. On Sunday 14th Oct I took my mate Smithy to Orange to pick up the bike. We had quite a good chat to the seller then his wife came home and we discovered that she original came from a farm between Trundle and Tullamore and had worked in Trundle. Smithy and I grew up in Trundle. I set off for the 100K ride to Parkes everything went fine and I was surprised I had no hand pain the entire journey. Normally get some pain after about 10 minutes so this was great. I have had to move things between the 2 garden sheds at Mum’s and managed to get the bike in under cover. The bike looks good and I hope you have many hours of fun riding it. I am so sorry to read that your Mum is still undergoing the chemo but I also wish her well and will keep her in my prayers for a speedy recovery and I also hope the treatment is not making her feel to ill.